TOKQI have unveiled a new interactive flowerpot they have created called the Plant La La which is taken to Kickstarter this month to raise the funds the team require to take their unique flowerpot into production. Watch the video below to learn more about the Plant La La which is now available to back by a Kickstarter with shipping expected to take place during October 2017. So you have talked to your plant. Sure enough, your plant is grateful for every word but it just lack a way to tell you how thankful it is. That’s where Plant La La comes into play. By placing your plant in Plant La La, your plant will be able to talk back to you with MUSIC! All you have to do is to simply tap the plant and it will play you a tune and guess what? Touching plants also help them grow! That’s right! 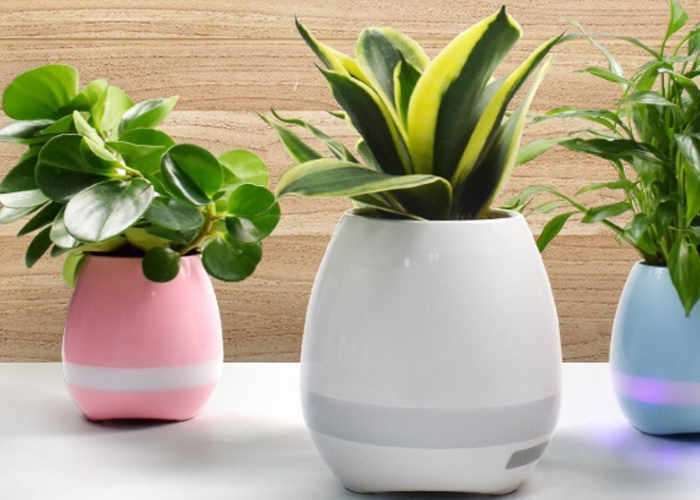 Other than the embedded music, Plant La La can be connected to your smartphone to play your favorite music! A lot of people may wonder if there are any special handling using a flower pot with electronics. It may come to your surprise that Plant La La will work just like a regular flower pot! Inside Plant La La there are only 2 elements. A touch sensor that detects your touch and a scupper that allow excess water to flow through. For more information on the new Plant La La jump over to the Kickstarter website for details by following the link below.